Jah love. Give thanks and praises for sharing this photograph. 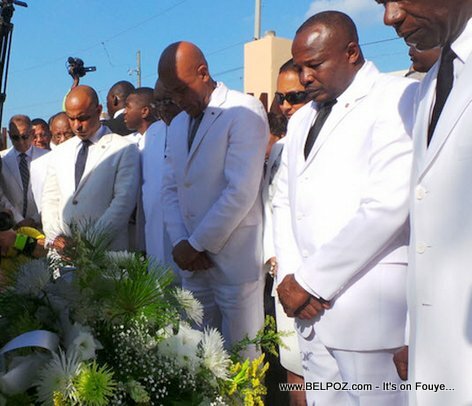 I am glad that the Tet Kales felt it necessary to pay homage to the Emperor Dessalines where he was murdered so long ago. The father of the nation of Ayiti should receive all dues. Still, I am skeptical about the humility that they display because they are so arrogant and prejudice against the Haitian people.